Chislehurst Commons employs two full-time Keepers who between them maintain the 180 acres of land. Their role is integral to Chislehurst’s rural charm, yet locals may not be aware of the historical significance of the work they undertake. ‘Keeper of the Commons’ is a fittingly antiquated term for a role that has existed in Chislehurst since 1888 when the land was given legal protection by an Act of Parliament; this thanks to a group of public spirited locals who wanted to prevent the Commons from being eroded or sold off. This was part of a wider movement across London to protect open spaces such as Wimbledon Common and Hampstead Heath. As recently as the 1990s, there were four Keepers employed in Chislehurst, but changes in the way the Commons is funded means that there are currently only two. Their job is guided by the seasons but tasks typically include mowing, planting, cutting back, maintaining footpaths, clearing litter and supervising volunteer workers. It’s possible that you have seen the Keepers at work without realising it as they are often mistaken for Council contractors. “It’s not obvious who we are because people don’t necessarily understand what the Commons is,” according to Head Keeper, Jonathan Harvie, who has been in the job for 17 years. As there is nothing to distinguish the Commons from land that is owned and managed by Bromley or the National Trust, educating locals is an important part of what the Keepers do. They offer free guided walks and are only too happy to answer questions about the ponds, grasslands, heaths and woodland that make up the Commons. Peter Edwards has been Assistant Keeper since 2008. “I have been doing this sort of work since I left school at 15 and there is never a morning that I don’t want to come in,” says Peter. Nowadays the job of a Keeper is very physical with much of the skill being in the use of heavy machinery. This contrasts to Edwardian times when the role was principally to maintain order on the Commons. In the 1980s, former Chislehurst baker Arthur Battle wrote of his childhood memories of the Keepers from the early 1900s: “Smartly turned out in brown corduroy breeches and jackets, they carried a stick which could be deftly wielded if you misbehaved.” He recalls them wearing “jaunty, small brimmed hats” and a brass badge on their lapels – a far cry from the high visibility jackets and protective headgear that you see them in today. Between them, Jonathan and Peter have amassed a wealth of knowledge about the Commons and its inhabitants. They are both keen photographers and enjoy documenting the plants, trees and small mammals that they have the responsibility to protect. Some of the lesser known inhabitants include stoats, shrews, bats, owls, badgers, geese, lizards and slow worms. “I like to see people using the Commons and getting pleasure from it. That’s what it’s for,” says Jonathan. The only downside of the job is the problem of litter and fly-tipping, which is an ongoing frustration. It is costly to deal with in terms of the Keepers’ time and detracts from the otherwise picturesque environment. Every Wednesday a team of up to 20 volunteers turn out to assist with labour intensive tasks, such as cutting down trees and clearing holly to encourage more wildlife. This amounts to over 2,000 hours of voluntary help a year. “It’s a very friendly and welcoming atmosphere with fantastic camaraderie between the Keepers and the volunteers. That’s down to their brilliant leadership,” says former volunteer Rosie Anderson who credits Jonathan and Peter with inspiring her career change. “They helped me to understand how management of the land can increase the biodiversity of the Commons. I found it fascinating and went on to study landscape management at college,” she says. Having discovered how much she enjoys working outdoors, Rosie is now qualified and working as a freelance gardener. The Keepers report to a Board of Trustees, formerly known as Conservators, who manage the Commons as a charity under the terms of the 1888 Act. They are based at the Old Fire Station, a Victorian building tucked away at the top of Hawkwood Lane that was originally home to the horse drawn fire truck and later the motorised version. The Commons is privately owned by the Lord of the Manor, a title that can be traced back to Elizabethan times. Most recently the title was inherited by two sisters in 1999, but they have no day-to-day involvement with management of the Commons and have no obligation to assist with the financing of it. Upkeep costs over £100k a year which must be raised through Council grants and charitable donations from residents. It is an ongoing challenge to raise public awareness about the Commons in order to secure its future for the next generation. Events such as the The Big Draw and the Open Air Cinema are organised by a committee of local residents to raise much needed funds. The Keepers tend to encounter the same faces on their daily rounds and over the years have become well known by those who use and enjoy the Commons. Their personable approach make the Keepers the best PR resource available to the Trustees, according to Colin Yardley, one of 15 currently serving on the Board. “It is not just a job to them; they are not guided by the clock, but by what needs to be done, working whatever hours it takes,” he explains. It is evident from talking to Jonathan and Peter that they genuinely love what they do and feel privileged to be doing it. For two individuals who are inspired by nature and the outdoors, there can be no better job. 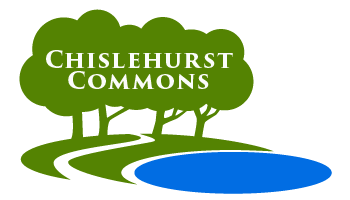 The beautiful Commons are testament to their hard work and everyone in and around Chislehurst can enjoy the benefits.